Poets Pages has been a popular publication in the Poets Corner area since September 2011 being delivered every month to over 3,200 local addresses and businesses. We also have many branded distribution points around Poets Corner where people can pick up their copy of Poets Pages each month. See below for a list of where our distribution boxes are located. 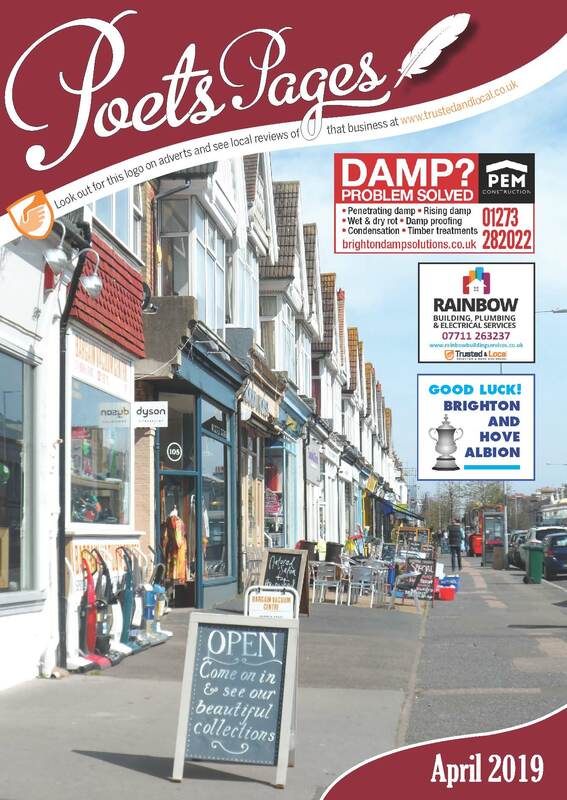 Poets Pages is a combination of local business adverts and articles sent in from Poets Corner residents and community groups in the Poets Corner area. An uploaded version of the latest edition is available to the left of this page. Just click on the image of the cover and scroll through. Back copies of previous editions are all available below. If you are interested in advertising please see our Rate Card below. If you are a member of a local group or if you have something you might like to get published please get in touch. To see the rates for advertising in Poets Pages please see here. "I’ve been delighted with the response to my ad in Fiveways magazine for my Restore Your Core classes, it was definitely money well spent.